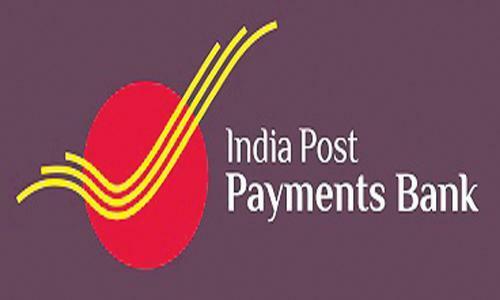 The India Post Payments Bank (IPPB), considered by the economists as the mother of all banks in India, was inaugurated for its district branch at North Lakhimour Head Post Office on Saturday along with the rest of the nation. The IBP Bank was inaugurated by Dr Ashraful Amin, Additional Deputy Commissioner, Lakhimpur at a glittering ceremony at North Lakhimpur Head Post Office. The inaugural function was attended by Superintendent of Posts, Dibrugah Divisionn DS Kanwar, Assistant Superintendent of Posts, North Lakhimpur East Sub Divisiin Chandra Sekhar Hazarika and Branch Manager of IPP Bank North Lakhimpur, Samiran Mazumder. In his inaugural address, ADC Amin explained the new revolutionary banking system aimed at providing easy and seamless services at the doorsteps of the customers in IPP Banking. The other officials of the Department of Post also explained the various services included in this banking service. Termed as the banking behemoth, the IPP Bank will use its vast postal network to offer financial services to people across the country, including rural areas. IPPB is a public sector company under the Department of Posts and the Ministry of Communication with a 100% equity of the Government of India, and governed by the Reserve Bank of India. IPPB will focus on providing banking and financial services to people in rural areas, by linking all the 1.55 lakh post office branches (that’s nearly 2.5 times the bank network) with IPPB services by the end of 2018. Postmen in rural and urban areas will provide doorstep banking services. This will create the country’s largest banking network with a direct presence at the village level. IPPB has become the third entity to receive payments bank permit after Airtel and Paytm in India which can accept deposits up to Rs 1 lakh per account from individuals and small businesses. It will offer a range of products such as savings and current accounts, money transfer, direct benefit transfers, bill and utility payments, etc. IPPB also has permission to link around 17 crore postal savings bank (PSB) account with its account. It has received approval for carrying out RTGS, NEFT, IMPS transaction that will enable IPPB customers to transfer and receive money from any bank account. A mobile app to facilitate online banking service as well as payment for various utilities and services like phone bill, DTH, gas connection, electricity, etc were also to be launched soon in IPPB, said the officials at the meeting. Billers of one hundred plus numbers would be included in this banking service which IPPB customers will be able to pay from their account and all the billers that accept payment through Bharat Bill Payments system will be available for IPPB customers from Day 1 of the launch, it was said. Since IPPB account can hold up to Rs 1 lakh deposit so once PSB account will be linked to them, customers will be able to transfer money from PSB to IPPB and vice-versa. Money beyond Rs 1 lakh can be kept in PSB. Customers can also access their IPPB account through mobile app but it will have limited services. Once a customer completes KYC (know your customers) requirement, the app will start offering all the banking service, the officials said.